Automotive electronics are playing a vital role in the move toward safer, higher-performance, cleaner, smarter, more energy-saving, and connected vehicles. And Taiwan is playing a vital role in the supply of such products. Backed by Taiwan's world-class electronics and ICT (information and communications technology) industries, the island's auto-parts producers are developing advanced, reasonably priced automotive-electronics systems and components for customers around the world. The Ministry of Economic Affairs (MOEA) predicts that automotive electronics will rapidly grow into one of Taiwan's star industries of the future. The island's overall automotive-electronics production value rose from NT$56 billion (US$1.87 billion) in 2006 to some NT$100 billion (US$3.3 billion) in 2010, and is expected to reach NT$300 billion (US$10 billion) in 2015. The core advantage of Taiwan's automotive electronics industry is its leader-of-the-pack supply chains for auto parts and electronics, ranging from machinery, mold/die development, sheet-metal parts, rubber tires, automotive lighting, vehicle infotainment, automotive semiconductors, automotive micro-electromechanical systems (MEMS), car computers, and safety-related automotive systems. This advantage is generating strong growth momentum and driving players in Taiwan to innovate at an ever-faster pace. Local companies have made significant headway in both the OE (original equipment) and AM (aftermarket) segments of the auto-electronics market over the past year. Among their achievements are the development of tire-pressure monitoring systems (TPMS), telematics on-board units (OBUs), charge-coupled device/complementary metal-oxide semiconductor (CCD/CMOS) cameras, thin film transistor-liquid crystal displays (TFT-LCDs), engine control units (ECUs), AC/DC converters, light-emitting diode (LED) lamps, portable navigation devices (PNDs), and night-vision systems. Once the world's largest manufacturer of DC-to-AC power inverters for mainly vehicle applications, Drow Enterprise Co., Ltd. has been using the latest technology and its abundant store of experience and know-how to diversify its product line. The company markets its products globally under the “Genius Power” brand, and also supplies major regional brands on an OEM/ODM basis. Wei Cheng-tsung presides over Drow Enterprise, one of the world`s largest developers and makers of DC-to-AC inverters. Drow president Wei Cheng-tsung says that his company will soon introduce two very innovative products with smart functions for 12V/24V vehicle batteries. 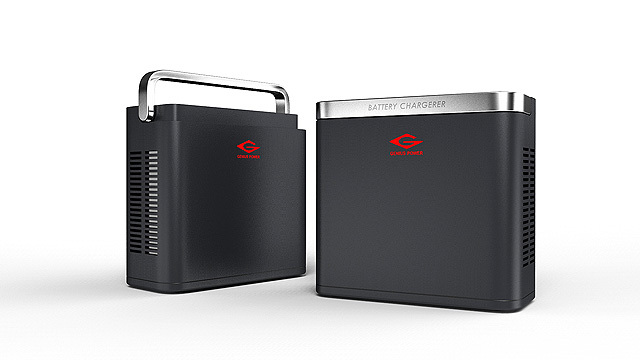 The first is a multi-functional smart digital battery charger offering a total solution for battery charging, ease of carrying, and state-of-the-art styling. The portable battery charger can automatically adapt to AC100V-240V (or 90V-264V) current with its built-in Active PFC (Power Factor Correction) function, and puts out 12V (up to 60A) or 24V (up to 30A) for charging different batteries. The smart charger can do everything itself, automatically detecting and selecting the charging voltage, or the user can do it manually if he or she wants. If you choose the "Snow Mode" to charge a battery under extremely cold weather, the charger will automatically boost the charging voltage by 0.6V (60A) or 1.2V (30A) for either 12V or 24V batteries. The GB-300/600 digital smart charger developed by Drow Enterprise has many advanced functions, including battery rejuvenation. The main appeal of the smart charger is, according to Wei: "It's not only smart, but very smart." It is designed with a Battery Repair (or Rejuvenate) function, which can automatically detect problems and repair the battery being charging (even if it has malfunctioned). This function can restore/repair a malfunctioning battery to a certain extent, and double its life to four years. "When you choose this function,” Wei explains, “the charger will utilize its advanced function to eliminate impurities on the electrodes and in the electrolyte." The smart charger, according to Wei, can also work as a battery booster and offers other "very smart" features including automatic protection against reverse (polarity), over-current, over-voltage, short circuiting, overheating, over-power etc. The technology used in the smart charger is protected by patents in Japan, Taiwan, China, the U.S., and the European Union (EU). The charger is certified by global safety standards in different markets, including CE, ETL, UL, and PSE. 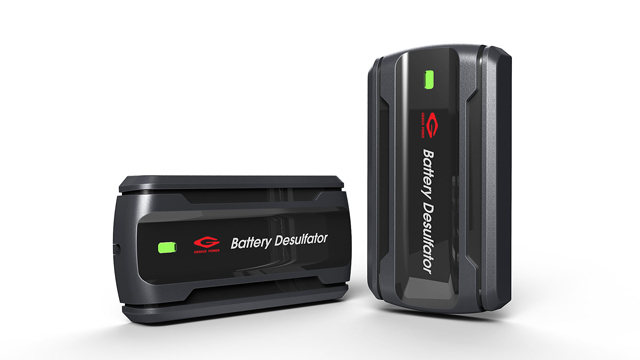 Drow's other innovative new product is a 2-in-1 battery desulfactor, the Giga Pulser, which in effect is a 12V/ 24V battery life extender or refresher. The Giga Pulser can double battery life, according to Drow Enterprise. Suitable for use with any 12V or 24V lead-acid automotive battery, the Giga Pulser can at least double the life of a battery, restore its capacity, restore inner impedance, lower charging loss, and enhance fuel efficiency by improving power output in a vehicle's electrical system. The smart battery desulfactor is quite small, and you can easily install it beside your vehicle's battery to greatly extend its life. Wei says that Drow Enterprise will continue introducing new and innovative products in 2014, including a compact non-polarity booster (with metal-oxide-semiconductor field-effect transistor, or MOSFET, design). Drow Enterprise insists on supplying 100% Taiwan-made products featuring the highest standards of quality and safety, and operates a modern integrated factory in southern Taiwan. Currently, the firm's 100 or so workers turn out 500,000 to 600,000 DC-to-AC power inverters (12V-48V), solar inverters, power supplies, battery chargers, jump starters, etc. every year. About 90% of the inverters are for vehicle applications, and about 10% for telecoms. The products are exported to customers in Japan, the U.S., Europe, the Middle East, Australia, and other markets. Having just moved into a brand-new, modern facility in southern Taiwan's Tainan Technology Industrial Park, Vision Automobile Electronics Industrial Co., Ltd. is aggressively developing futuristic automotive-electronic system in pursuit of its vision for the industry's future. The TS16949:2009- and ISO9001:2008-certified company supplies quality products to automakers and aftermarket dealers all over the world. In recent years, Vision has been going all-out to develop and manufacture vehicle security and active safety products; and with more than 30 years of experience and achievement, the maker has won high plaudits from its customers. 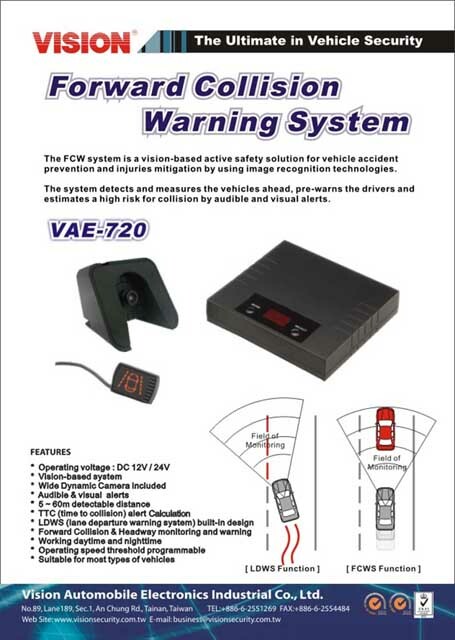 Its current product line includes car alarms, vehicle infotainment systems, Lane Departure Warning Systems (LDWSs), Tire Pressure Monitoring Systems (TPMSs), Daytime Running Lights (DRLs), Blind Spot Information Systems (BLISs), vehicle reversing sensors, parking aid kits, GSM alarm systems, two-way pagers, keypad immobilizers, power windows, central door locking systems, electronic mirrors, power trunk releases, keyless entry systems, and immobilizers, among others. Over the years Vision has established a well-known brand and not only supplies to automotive manufacturers such as Mitsubishi, Toyota, Mazda, Ford, Suzuki, Nissan, Daihatsu, Honda, Hyundai, Kia, and Proton, but also has set up a worldwide exclusive distribution agency for Vision products. Paul Lo, the company's assistant general manager, notes that in recent years his company has focused aggressively on developing vehicular active safety systems. With a strong in-house R&D team of more than 30 talented professionals, the firm also works closely with government-backed automotive-related research institutes in Taiwan, including the Industrial Technology Research Institute (ITRI) and Automotive Research & Testing Center (ARTC), to develop world-leading automotive technologies and systems that can be commercialized at affordable cost. Jerome Yang (left), executive assistant, general manager office, and Paul Lo, assistant general manager of Vision. Lo says that Vision focuses on both the AM and OE markets, because when a new product gains popularity in the aftermarket, the automakers will be forced to offer it as standard equipment on new cars. With professionalism, good product quality, and stability, he adds, Vision has been winning an increasing number of OE orders with this business model. 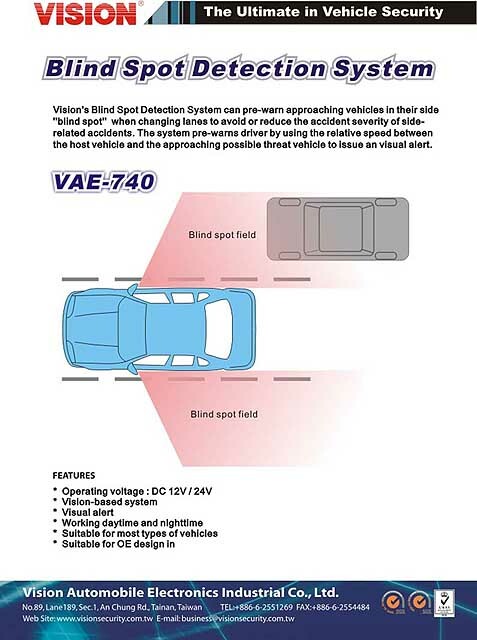 Vision supplies a full range of automotive active safety systems. The assistant general manager also points out that thanks to the joint efforts of private manufacturers and research institutes in Taiwan, the active-safety automotive-electronic systems marketed by major domestic producers, including Vision, command a three-to-five-year lead over their Chinese rivals in technology and quality. To keep that leading advantage, he stresses, Vision will continue to focus on product development and innovation. Technical partnerships, however, explain only part of Vision's integrated global competitive strength. The company's R&D team by itself can smoothly transform the most advanced systems and basic prototypes into commercial products, and its manufacturing capability, using three surface-mounted device (SMD) production lines along with other top-end equipment at the new factory, also plays a vital role in making the firm's products popular with customers worldwide. The firm also supplies a range of other advanced products. Vision has also been aggressively developing home automation system products and integrated solutions for about 10 years, and has extended its reach into all five major product categories in home automation: security, control, entertainment, health, and power management. It has developed an array of sensors, lights, controllers, dimmers, and others.